Students at Holy Trinity receive a solid, sequential, traditional, integrated elementary school education with an emphasis on religion, language arts, and mathematics. Teachers are encouraged to engage students through creative teaching styles, sparking their curiosity and imagination. 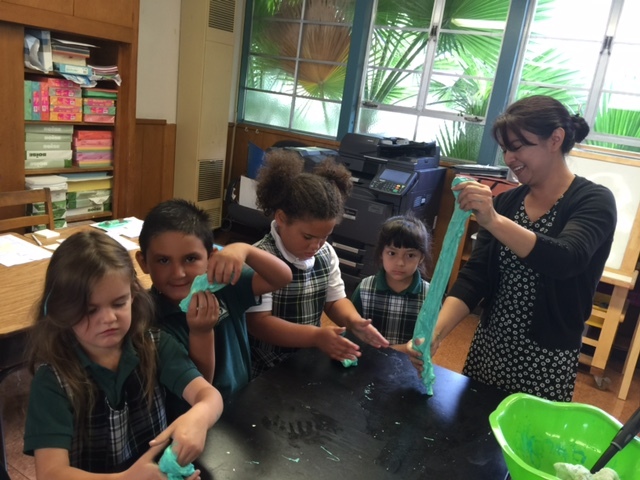 The curriculum meets the guidelines and requirements set by the Archdiocese of Los Angeles Department of Catholic Schools. As a Catholic school our goal is to meet each child where they are and help them develop to their fullest potential, providing both remediation and challenge as needed for maximum growth. Teachers provide individual assistance both during school and after school as needed.